U.S. Rep. Howard “Buck” McKeon got to make up for an oversight and honor two deserving service members Monday morning, awarding them the Bronze Stars they earned while serving in Vietnam. Sgt. Bill Reynolds and Spec. Stanley Cockerell were presented with the award in ceremonies held at Jake Kuredjian Park in Stevenson Ranch. According to regulations from the Department of Defense, the Bronze Star is awarded to service members who have distinguished themselves apart from his or her comrades by brave or praiseworthy achievement or service. The act justifying award of the medal must be performed while fighting an enemy of the United States, or while involved in conflict with an opposing/foreign force. From January 1967 to January, 1968, Bill Reynolds and Stanley Cockerell served with great distinction, displaying exceptional performance of their duties during battle in the Vietnam War and the Department of the Army has awarded them with the Bronze Star for Meritorious Service. On July 7, 2011, Reynolds and Cockerell made an official request to McKeon’s office to research their eligibility for Bronze Star Medals, which their Lieutenant, Jack Benedick, had recommended for them for meritorious service in Vietnam. After working with Reynolds and Cockerell to assemble a complete file for submission to the Department of the Army, McKeon’s office submitted an initial inquiry for these awarding of these medals. On August 16, 2011, the parties were informed by the Dept. of the Army that the citation for Bronze Star/s was incomplete and additional forms were necessary. McKeon’s office worked with Reynolds, Cockerell and Benedick in order to assemble the necessary documentation and citations, and on September 26, 2011, a second package was submitted to the Army Decorations and Awards Branch for consideration for the Bronze Stars. 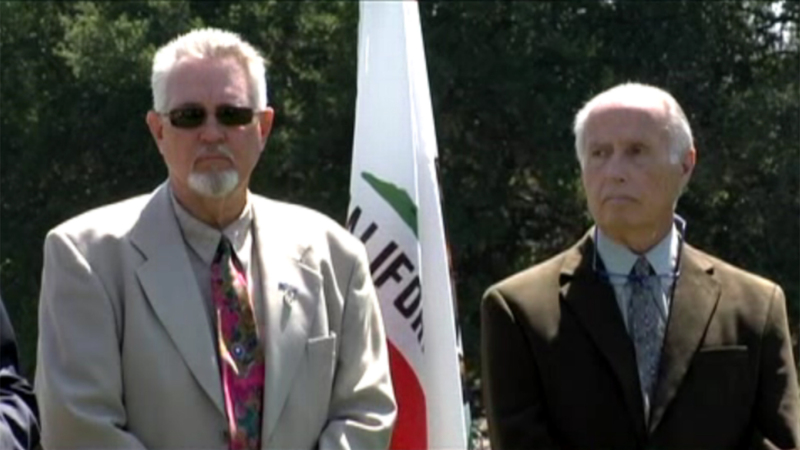 On April 2, 2012, Reynolds and Cockerell were approved to receive the Bronze Star Medals. Details of the men’s service were shared during the ceremonies. For: meritorious service from 6 January 1967 to 8 January 1968, while serving as a member of Company C, 4th Battalion, 47th Infantry Division, while in the Republic of Vietnam. Specialist Cockerell served with great distinction during combat operations while conducting intelligence gathering patrols. His leadership, dedication to duty and tactical expertise helped the unit to achieve and maintain a high level of mission success. SPC Cockerell’s actions are in keeping with the finest traditions of military service and reflect great credit upon himself, 9th Infantry Division and the United States Army. For: meritorious service from 6 January 1967 to 6 January 1968, while serving as a Radio Operator and Squad Leader in Company C, 4th Battalion, 47th Infantry Regiment, 9th Infantry Division, while in the Republic of Vietnam. Sergeant Reynolds consistently displayed exceptional performance with rapid assessments and solutions against determined hostile fighters. His dedication to duty, leadership abilities and are for soldiers enabled his unit to achieve and maintain a high level of mission success. SGT Reynolds’ actions are in keeping with the finest traditions of military service and reflect great credit upon himself, the 9th Infantry Division and the United States Army. The symbolism of the award location was not lost on McKeon or Antonovich, who arranged for the site. In 2001, Deputy Hagop “Jake” Kuredjian was shot and killed after responding to a call to back up other Los Angeles County Sheriff deputies and federal agents who were attempting to serve a warrant on a man for impersonating a police officer and possessing a firearm as a convicted felon. Deputy Kuredjian had served with the Los Angeles County Sheriff’s Department for 17 years. After the ceremonies, McKeon traveled to Marathon Industries on Springbrook Avenue near Saugus to visit with business owners and their staff. Marathon’s main business is the manufacturing, assembling, installing and repairing truck bodies, trailers and transportation equipment of various kinds and design. Marathon is a single source for most styles of truck bodies and/or equipment. McKeon has been talking with business owners across his district to get a feel for the business climate in these challenging economic times. His office says that one of McKeon’s priorities is to make sure that powers in Washington help, not hurt, businesses continue to grow, prosper and hire more workers. Later in the afternoon, McKeon was on hand with defense contractor Northrop Grumman for their annual check presentation to the local Boys and Girls Club. McKeon was there with Tommy Tomlinson, Sector Vice President of Production Operations for Northrop Grumman Aerospace Systems. The Boys & Girls Club of Santa Clarita Valley has been helping youth in the community since 1968. Their mission is to enable all young people to reach their full potential — especially those who need support the most. For the $3 per month membership dues, the Club provides services to nearly 2,400 local young people ages 7-17, with quality year-round and after-school programs focused on education, career development, character, leadership, health, fitness, sports, recreation and the arts. McKeon (R-Santa Clarita) represents California’s 25th congressional district.